Heidi had sensed God’s call to serve her host country. She had found an agency that accepted her as a member, and she had raised the necessary funds and prayer support. She learned the language and the culture so that she could live there. She had entered the country as a medical provider and was effective in serving the nationals there. She had adequate access to the Internet so that she could keep contact with friends and family through email and through Facebook, but something very important was missing. Communicating with people back home was simply not like talking with them face-to-face and being able to touch them, to give them a hug. She was not married and was the only person serving in that country with her agency. It seemed like all the other expats could fit in a group. Most people had a natural group with their agency. Those who were teaching were with others in the school. Parents with children in school had natural connections with others whose children attended there. She was a chiropractor but in practice alone, so she did not even have others from the medical community. What could she do? Here are some ways she may find community and participate in it. One of the best places for single missionaries to find community is in an international church holding services in their language. This is common in cities large enough to have a church that includes missionaries from other agencies, other expats from the business community, others from the educational community, and any others who want to worship in that language. The major advantage of meeting in church is that most of the people attending there have interest in their Christian faith and some of them may also be looking for community with someone having the same world-view. The major disadvantage of meeting in such a church is that those churches are usually available only in larger cities and those cities need to have a rather large expat population speaking that language. Another good place to find and participate in community is with missionaries in one’s own agency. People in the same agency have many things in common, and they spend much time together. Of course, that agency may include primarily married couples, and community may be difficult for singles. The best book about this relationship is By Ones & by Twos: Building Successful Relationships between Marrieds and Singles in Ministry by Jeannie Lockerbie Stephenson. She wrote the first two editions during her first three decades serving as a single missionary. During those decades Wally Stephenson served as a married missionary; however, after those years his wife and daughter were killed in an accident. Wally continued serving as a single missionary. 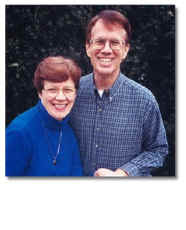 Three years after that accident Wally and Jeannie married, and they both continued serving as married missionaries. Jeannie was the primary author of the third edition of the book in 2008, but Wally’s influence is prominent in the book. It is written by two people who have lived as both single and married missionaries. The book is available in both new and used forms from Amazon.com. The price is reasonable, but their insights are priceless. When missionaries are serving alone far from other missionaries in their agency, they may find community with singles serving with another agency. Some missionaries are the only one from their agency in the entire country. When that happens local missionaries serving with another agency may “adopt” the lone single missionary as a part of their community. The group invites the lone missionary to most of their activities and helps the lone missionary in times of illness or crisis. The group often invites the single missionary to join them for their weekly prayer meeting, to attend their periodic retreats for rest and fellowship. It may also invite the single to join them for holiday gatherings, especially Thanksgiving and Christmas. In addition, couples or other singles in the agency may invite the single missionary over for a meal, or to play some games, and the single missionary may be invited to parties. Of course, the single missionary does not attend business meetings of the agency, or go to special called meetings to settle disputed issues within the agency. International schools may be a good place to find others from one’s passport country living in the area. Singles may get access to the school in a variety of ways such as being a ventriloquist and having a performance, having special skills and volunteering to help, volunteering to substitute if a teacher is ill; the number of possibilities seem endless. Singles are most likely to meet like-minded faculty, administrators, and parents in a Christian international school if one is nearby. People working there and parents bringing their children there are most likely to be Christians or open to Christianity. The best way to find such a school is to visit the Association of Christian Schools International at www.acsi.org. One can search for schools in any country and find the name and location (city) of all the schools there. Even faculty, administrators, and parents in secular international schools may be Christians who feel called to reach others associated with the school that they may become believers. A search for “International Schools” results in many links to such schools. The website for the Council of International Schools at www.cois.org is very useful. It contains information about 723 schools around the world. Single cross-cultural workers must go through some governmental agency to leave their passport culture to enter their host culture. They are all familiar with the State Department to get passports and visas. Every host country has an embassy and a consulate to take care of such workers in that country. The larger the host country, the more people from the passport country will be there, and consulates may be in more cities. These people may be Christians and be good community. In addition, the country may also have a military presence from the passport country as well. Although some people in the military bring their families, many are there alone, and they may want some community as well. One has only to look at the food they eat, the clothing they wear, and many things they buy to see that most countries are part of the world economy in which businesses have connections with many other countries. Single missionaries may find community with people from their passport country in their host country as a part of earning their living. Some of these people are looking for community as well. They may eagerly respond to invitations for friendship. Third cultural kids (TCKs) who have grown up between two or more cultures may find community with other TCKs or even with nationals of their host country. It is known that TCKs have essentially developed their own “culture” that is found in people who grow up between cultures, and that third culture does not depend on the countries in which they have grown up or what their parents did. For example, one TCK’s passport culture may have been the USA, and his host country was Mozambique where his parents served as missionaries. He may find community with a female TCK whose passport culture was Germany, and her host culture was Vietnam where her parents were serving with the State Department. This kind of community is recognized by Mu Kappa which has chapters on many college campuses across North America. These chapters serve to encourage TCKs and provide ways for them to meet each other through activities to help them get acquainted. They often eat together to talk, go to retreats together to develop spiritually, and so forth. In addition, TCKs may find that they have more in common with people from their host country than with people from their passport country. This is probably because they have spent much more time in their host countries than in their passport countries. In fact, they may marry someone from their host country rather than someone from their passport country. While searching for community, one must be careful not to throw caution to the wind. He or she must remember to consider safety and security. Until convinced of their goodness, it is probably best to meet others in public places rather than in a home. Observe potential friends in public places and interacting with people in their agency, at church, and so forth. and that could happen again. These cautions are not intended to make one fearful or paranoid, but just to encourage singles to be aware that such problems have occurred. Singles also need to remember that to have friends, one must be a friend.